Many buyers choose Fort Lauderdale for the fantastic weather, incredible boating, cultural activities, and golf opportunities. South Florida has some of the most highly rated golf courses in the nation and many of the professionals choose to live throughout Florida due to the access to these championship courses. Real estate surrounding golf courses is highly desirable for those who golf as well as those who are simply looking for luxury homes with lush surroundings. Many golf clubs also have tennis clubs and clubhouses, public and private, that accompany the courses. Nearly all golf course communities are gated for security, another aspect that makes real estate in these neighborhoods desirable. For more information on golf course communities not listed here, please contact me! Coral Ridge Golf Club: This is a private club within the Coral Ridge neighborhood. This is one of the most exclusive neighborhoods in South Florida and Coral Ridge Country Club is full service and contains tennis facilities in addition to dining. Its’ Golf Club is an 18 hole course designed by Robert Trent Jones Sr. and opened in 1955. The course has a classic mix of par 3 to par 5 holes, making it ideal for those of any skill level. Homes in this neighborhood are waterfront to townhome. Jacaranda: Jacaranda is a golf course community located in Plantation Florida, which is just west of Fort Lauderdale. Both the East and West Courses in this community have 4 Star Ratings from Golf Digest Magazine. Both courses are 18 holes each. This course is open to the public to book tee times, however it also has country club membership privileges. Jacaranda Country Club has casual and formal dining and social spaces, and homes surrounding this neighborhood are highly regarded and secluded. Eagle Trace: Eagle Trace is a Golf Community to the west of Fort Lauderdale located in Coral Springs. The neighborhood has one of the top rated private golf courses in the nation and 900 custom homes. It is an easy commute to Fort Lauderdale and very family friendly. The neighborhood also has Tennis Courts, Basketball Courts and a Tot Lot. 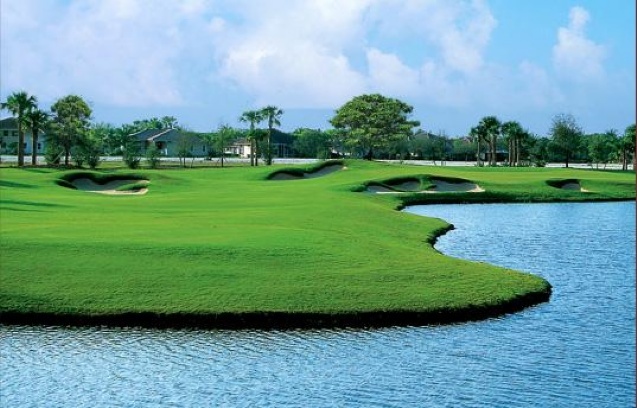 It is the home to the Honda Classic for the past years on the PGA Tour. This golf course is an Arthur Hills Design, known for his traditional perspective blend of Scottish and Florida style course. Heron Bay: Heron Bay is another private golf community in Coral Springs to the west of Fort Lauderdale. The Golf Course was designed by PGS Tour winner Mark McCumber and is ideal for beginners and intermediate players alike and is 18 holes. The Club offers casual and fine dining as well as tennis and a fitness facility. Homes in this area are family friendly and are an easy commute to Downtown Fort Lauderdale. I JUST SOLD BERKLEY SOUTH 10H (my 10th in the building this year) and negotiated the full asking price for my Seller at the highest price/sq. ft. sold this year. Although prices are still down 28% from the peak in 2005, it is exciting to see an increase of 18% this year. Season is fast approaching and good inventory is still limited. If you have thought about selling, NOW could be a great opportunity, I have the proven sales production record to make your sale happen. Although prices are still down 16% from the peak in 2006, they have increased an incredible 34% in the last 2 years. Season is fast approaching and good inventory is still limited. If you have thought about selling, NOW could be a great opportunity to enter the market. Fort Lauderdale is increasingly becoming a fine dining destination. 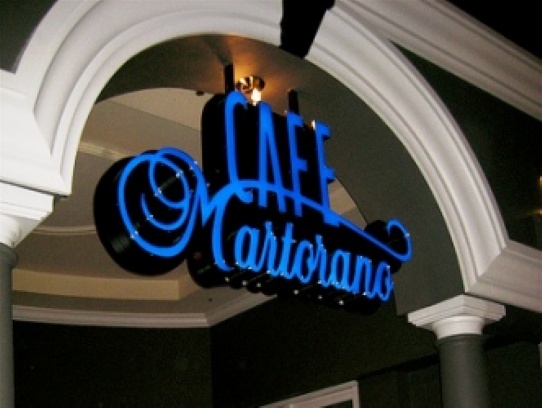 National chefs are taking note and opening exciting new restaurants in the area and one of my personal favorites is Café Martorano. Chef Steve Martorano has three locations, one in Fort Lauderdale on Oakland Park Boulevard, one in Hollywood, Florida, and one in Las Vegas. The dining at Café Martorano is more akin to a sensory experience as the chef has integrated dining, music, and movies and dishes are served family style. Steve Martorano is a Philadelphia native, and his menu focuses on American Italian cuisine with the freshest ingredients available. Below are three of the signature menu items not to be missed, and if you like the neighborhood, please contact me for available listings! Bon Apetit! Meatball: This classic meatball is served with Sunday gravy, ricotta cheese, and a long pepper. It is a large serving, so do not let the singular serving scare you away from ordering. Shrimp Scampi: The Shrimp Scampi is a twist on tradition using butter, garlic, tomatoes, and peas, and is one of my favorites. Eggplant Stack: Eggplant is pan fried, layered with mozzarella, tomatoes, arugula, and parmigiano cheese. This is not to be missed! If you are unable to make it to Café Martorano’s Here is one of their Signature Dishes to Try! In a skillet heat the olive oil and brown some fresh garlic. Then throw in the sweet peppers and saute until soft. Toss in the cooked chicken, a little white wine, San Marzano tomatoes, kosher salt, black pepper, Parmigiana-Reggiano cheese & fresh basil. 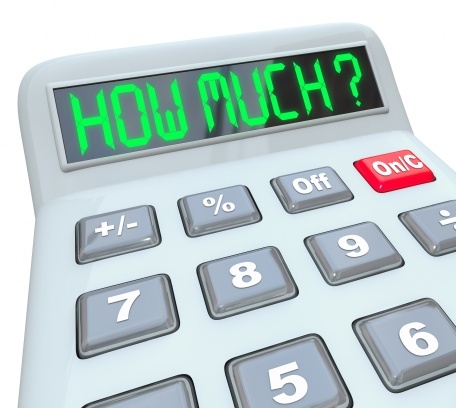 How Much Does it Cost You to NOT Sell? With all the national and regional news on home sales values increasing, I am approached by many home owners looking to list their homes on the market. It is true that the available property on the market is in limited supply, and there are many buyers on the market looking to purchase properties. However, in a number of instances, seller expectations are out of sync with the market value of their homes. Home prices have increased substantially in the past year and while this is excellent news, there is a danger amongst those looking to sell their homes in listing it too high. Buyers will not pay over market value for a home, even when inventory is scarce. Pricing must reflect what the market will bear, not what the Seller needs to net. If you are asked by your realtor to lower your list price or are in possession of an offer that you feel is too low, consider the yearly costs of keeping your home. Often, the cost of keeping the home could impact that decision in the long term. One factor that is not even computable is the opportunity cost in not selling due to market fluctuations. An example of this would be if a new development of comparable homes becomes available on the market, thereby increasing the inventory, and your home value will be reduced. Below is a rough estimate of carrying costs based on expenses for an average two bedroom 1100 sq. ft. condominium near the beach. If you have thought about selling your property please call me for a free consultation and honest discussion of your home value. Average Homeowner Insurance: starting at $1100 per year (Florida average), although this can vary significantly based on amount of coverage and proximity to the ocean..
Total Amount of Costs: $15,328 excluding a mortgage payment and any additional repairs and maintenance or building assessments.